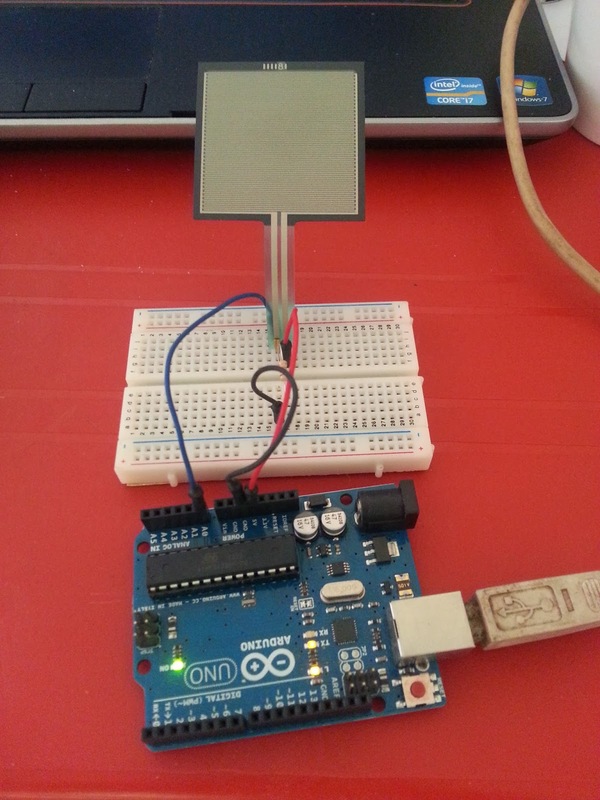 Today I got the time to test a Arduino compatible component I had for a long time. It is a 1.5" Force Sensing Resistor (FSR) cable of measuring the force applied onto its surface area. 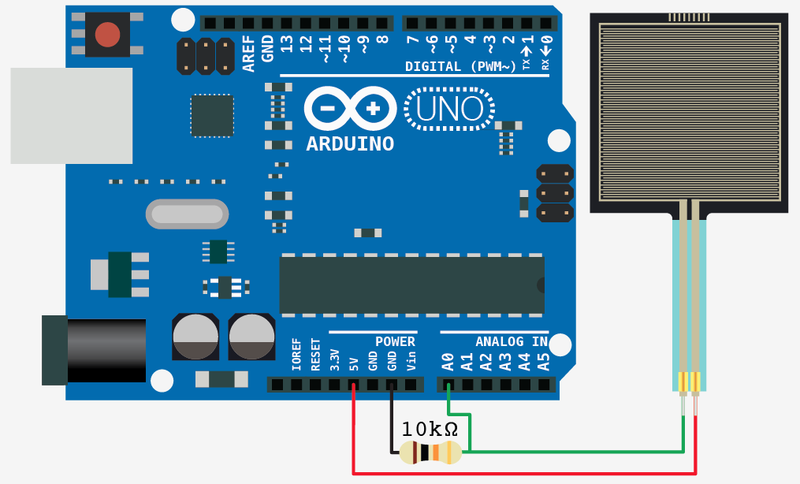 The following shows a really small demo/tutorial on how to connect the FSR to Arduino and read its force value. More details on the FSR can be found here. Above is the Fritzing layout of the connected Arduino and FSR. And below you can see the photo of the FSR connected. 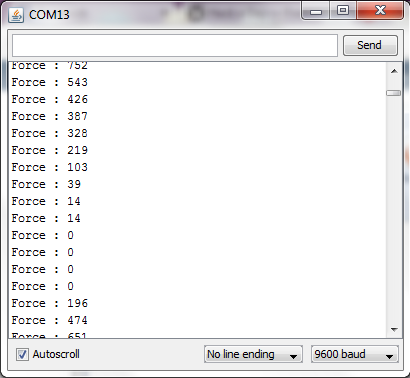 The following the Arduino sketch which reads the value of the FSR and prints in the Serial. Output of the Serial is as follows.